As surprising as this may sound, risk management is a relatively new term when it comes to law firms. Although this practice has been widely adopted by many industries for many years, law firms have only recently begun to adopt this as part of their good business-practice culture. A brief look at the history of law firms will help explain why this practice is late arriving. The law firm of the 50’s, and even into the late 60’s were primarily small organizations compared to the businesses that comprise the Fortune 500 list in our country. And even when firms initially started to reach the 100-200 lawyer plateau, they were primarily managed by consensus and a large amount of their time was spent preserving the individualism and independence of lawyers. However, as we started the 70’s and then the merger mania of the 80’s many firms grew to become rather substantial size organizations and did not have the business infrastructure needed to support these multi-office, multi-practice, multi-national businesses. Historically, many of the larger firms were mired in “lock-step” compensation systems and rarely was there movement between law firms once a firm had been selected. Partners and lawyers usually spent their entire career with a single law firm, and they did not try to seek the most lucrative compensation. As some firms moved away from the “lock-step” compensation systems the whole practice and procedures of law firms also required a change. Once law firms started to grow, develop specific practice areas, open multiple offices and take on lawyers from other law firms and their clients, a greater degree of management of the law firm’s risks was needed. There were too many things that could now go wrong with potentially missed deadlines, conflicts of interest, and a myriad of other issues that could cause financial risk and loss for the firm. 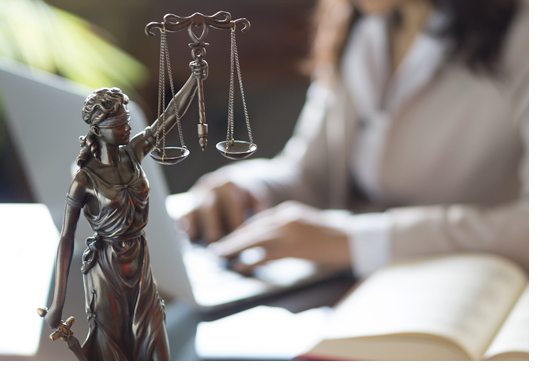 But a problem persisted within law firms that hindered the development of a corporate model and that would be the management of the business side of the practice of law-which the lawyers held fiercely as part of their profession. Today, insurance companies are writing language into policies if a firm does not consider the ramifications of a conflict of interest and excluding coverage where firms are not at least considering some elements of risk management. A missed deadline may prohibit the firm form qualifying for insurance from a particular insurance a carrier in future years. Our job in the risk management process is to help identify and mitigate any “risk” that can cause financial harm, malpractice, financial ruin, grievances or impact the reputation of a law firm. This is accomplished by thoroughly examining the firm’s practices and procedures within the organization to identify those potential areas where the firm might be the most exposed. Our objective is to have uniform standards, which can be monitored for compliance. But risk management is not a set of policy manuals and procedures; it is something that must be addressed by firm management from the time a file is first open within the firm until it is closed. Unless, the upper management of the firm has decided they are willing to adopt a true corporate business model, changes will remain difficult to accomplish in this environment.